The top Juniors in the nation will meet in Saint Louis with more than $10,000 at stake and an invitation to the 2014 U.S. Championship at stake. The Junior Closed Championship is the most prestigious tournament in the nation for the country’s top players under the age of 21. This marks the fourth consecutive year this event is being held at the CCSCSL. Karthik Ramachandran, the winner of the 2012 U.S. Junior Open, was ineligible to play in the 2013 U.S Junior Closed due to age restrictions, so the invitation was extended to WFM Sarah Chiang, the second-place finisher. Chiang is coming off her first-ever U.S. Women’s Championship appearance, which was held in Saint Louis in May. Kayden Troff and Sam Sevian also have recent big-tournament exposure, both having acquitted themselves nicely at the 2013 U.S. Championship, also held in Saint Louis in May. The opening ceremony and player’s meeting will take place on June 13, and the first round of play will begin at 1 p.m. CT on June 14. Grandmasters Yasser Seirawan and Ben Finegold will provide live play-by-play commentary for each round of the event. 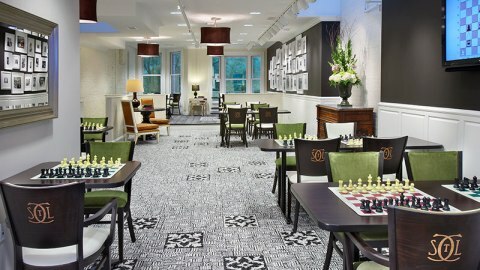 Spectators are welcome to watch the commentary live at the Saint Louis Chess Club or online at www.USChessChamps.com.